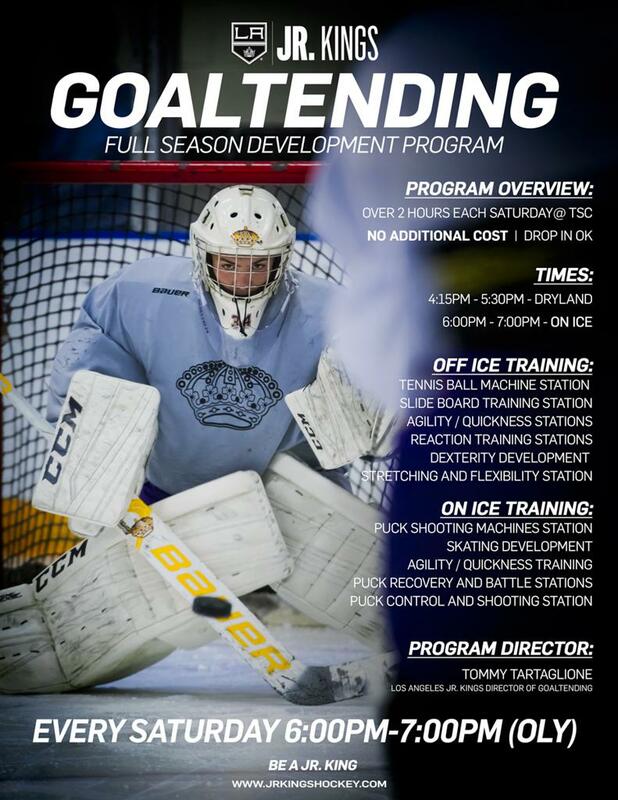 Skills will create a positive goalie experience. Family fun night including ice skating, dinner, silent auctions, raffles an more. 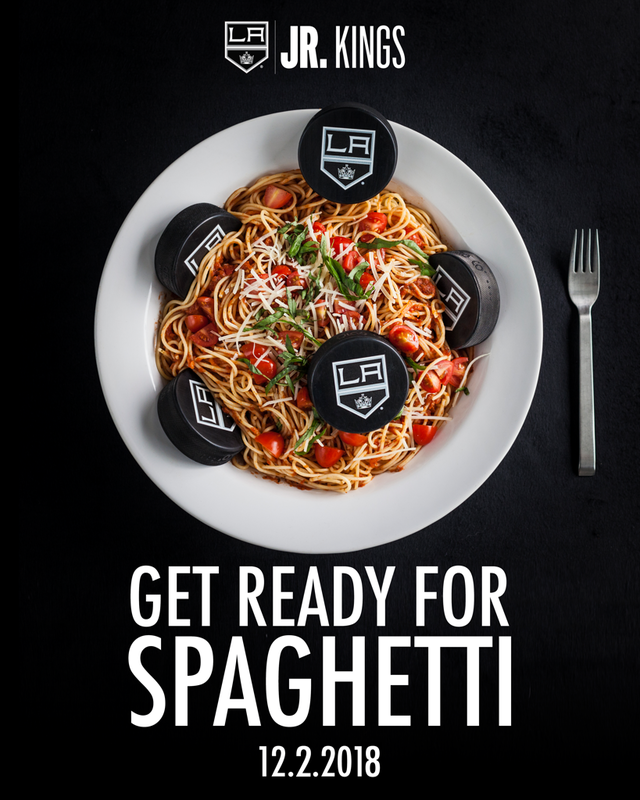 Plus, appearances from Kings mascot Bailey as well as appearances from the Los Angeles Kings Ice Crew all benefitting the Los Angeles Jr. Kings Hockey Teams! Managers, please click this link below and answer this short questionnaire for our records. This will keep all your needs/info in one place and I will have a record of who is participating and who is not. Please fill out even if you have emailed me with some or all of these answers. 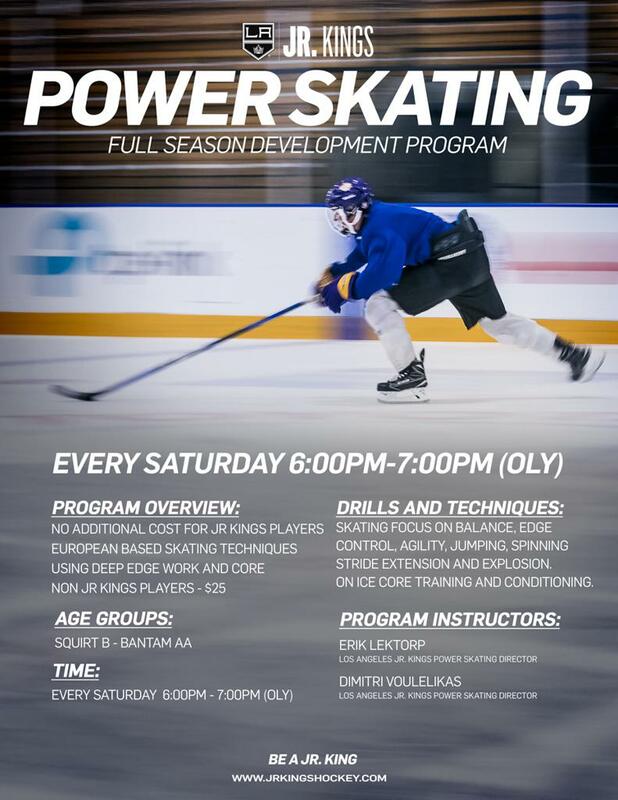 is a series of tournament hosted by the Los Angeles Jr Kings throughout the year offering high level competition for all ages and levels. Our tournaments include - Labor Day Extravaganza | Thanksgiving Turkey Shootout | Presidents Day | Carmen Starr Memorial Day Tournament The Toyota Sports Center is a state of the art facility and home of the NHL's Los Angeles Kings and only minutes from LAX airport. The Toyota Sports Center is also minutes from some of the nicest beaches in California, 30 minutes to Hollywood, 30 minutes to Disneyland and less than 5 miles to Manhattan Beach which offers families fantastic dining, shopping and entertainment for all ages. CLICK HERE for additional information on each tournament including available divisions and registration. 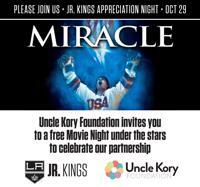 Join us for Movie Night outside of Toyota Sports Center featuring “Miracle!” A big thanks to the Uncle Kory Foundation for hosting this free, fun-filled evening for our families and friends! The Jr. Kings are proud to host their 7th annual golf tournament at Mountaingate Country Club August 27th, 2018. The fundraiser helps players and families in need. Proceeds go back to the organization and is vital to the sustainability of our club.